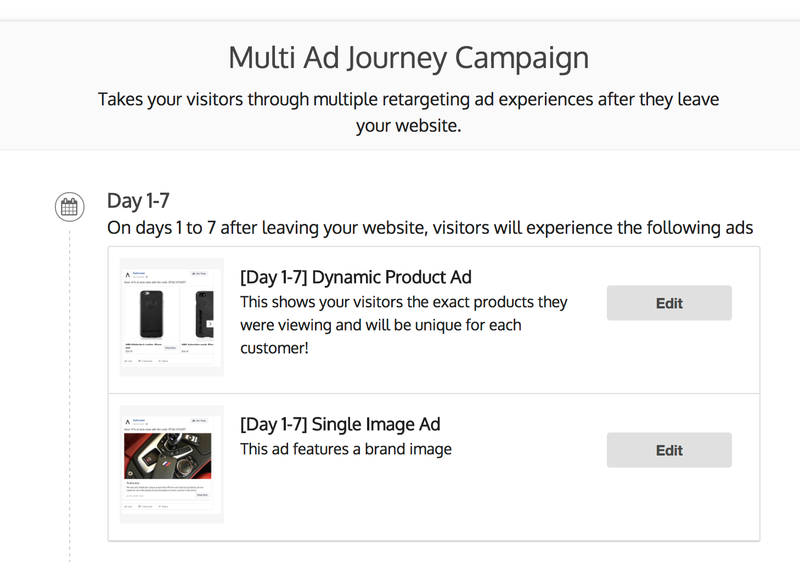 As soon as you reach an audience of 1000 tracked visitors, you unlock the ability to run multiple ads in your Journey! This means that instead of just seeing the same ad, visitors who leave you website will experience a variety of different ad experiences. Running a variety of different ads is great ways to combat “Ad Fatigue”. Ad fatigue is when your visitors see the same ad too many times and stop engaging with it. Effectively ignoring it when they see it. This is bad because it costs you money to run ads that people are no longer engaging with. But when you add some variety to the mix, the different ads stand out better and reduce the risk of ad fatigue!